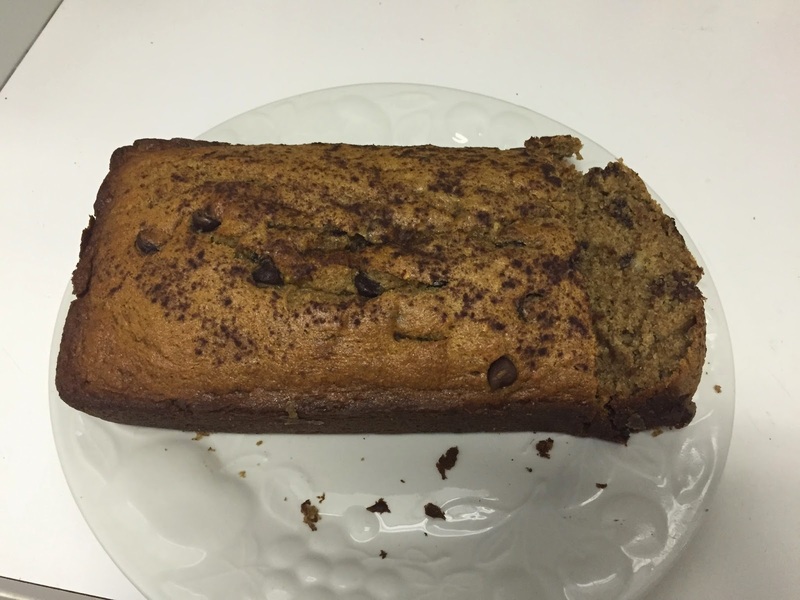 If there is one thing I have always been complimented on it’s my (my mothers) banana bread recipe. 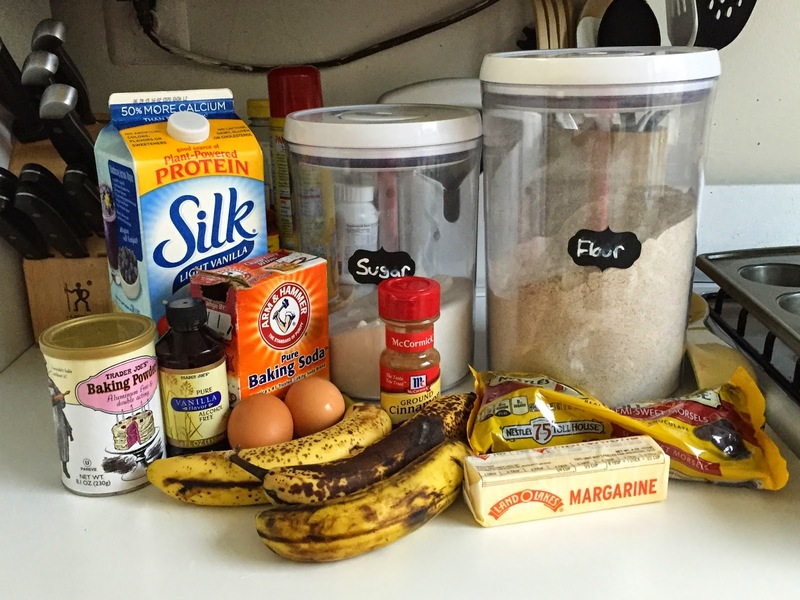 I love baking and sharing my baked goods so I decided to share my go-to recipe. 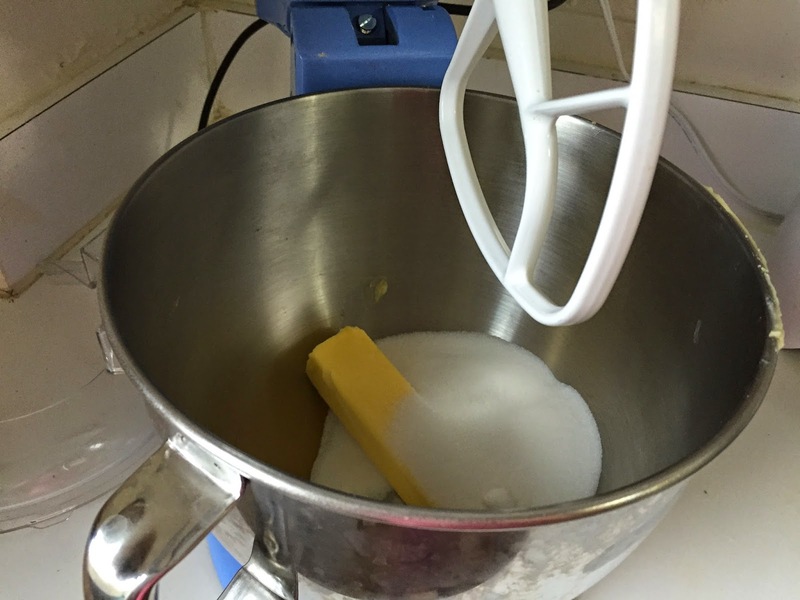 Originally this recipe called for butter and milk and I substituted margarine and soymilk. Plus making these into muffins offers a great to go option. 2. 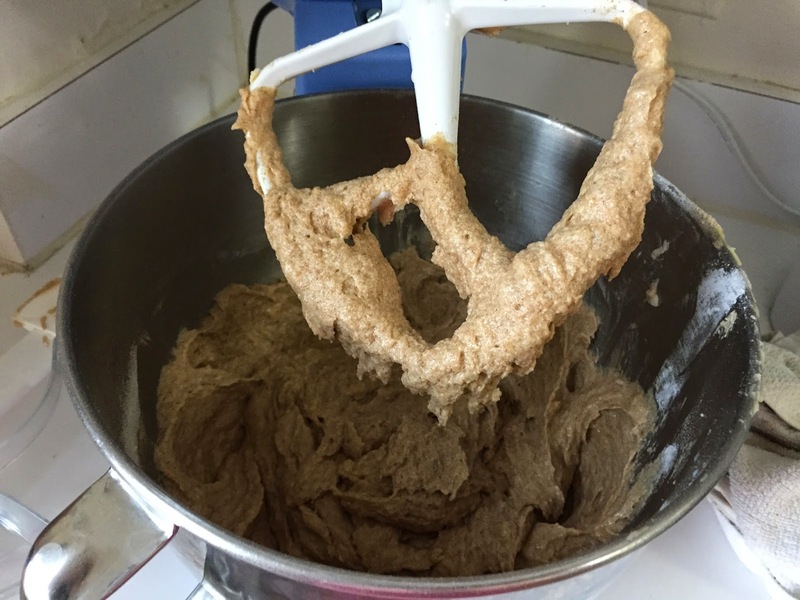 Cream the sugar and margarine in a mixing bowl until blended and fluffy. 6. 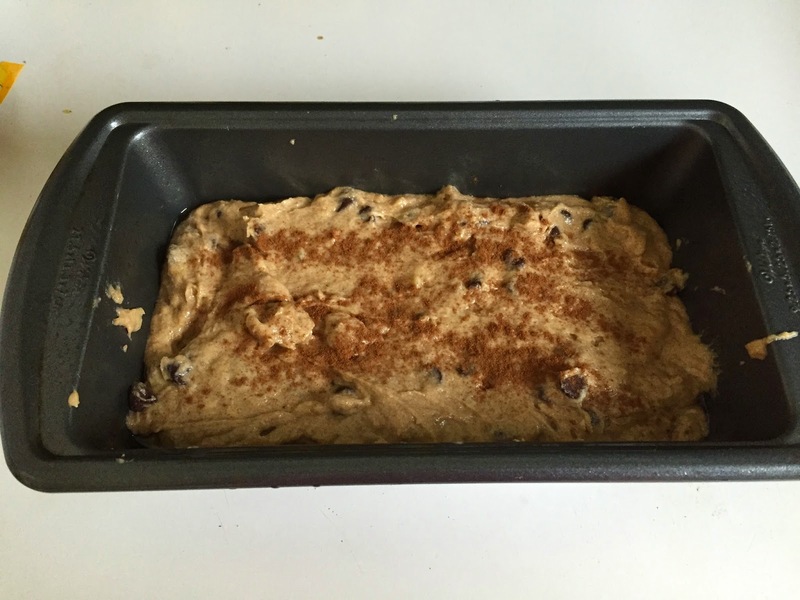 Once blended well, add the cinnamon, baking powder, baking soda and then the flour. 7. 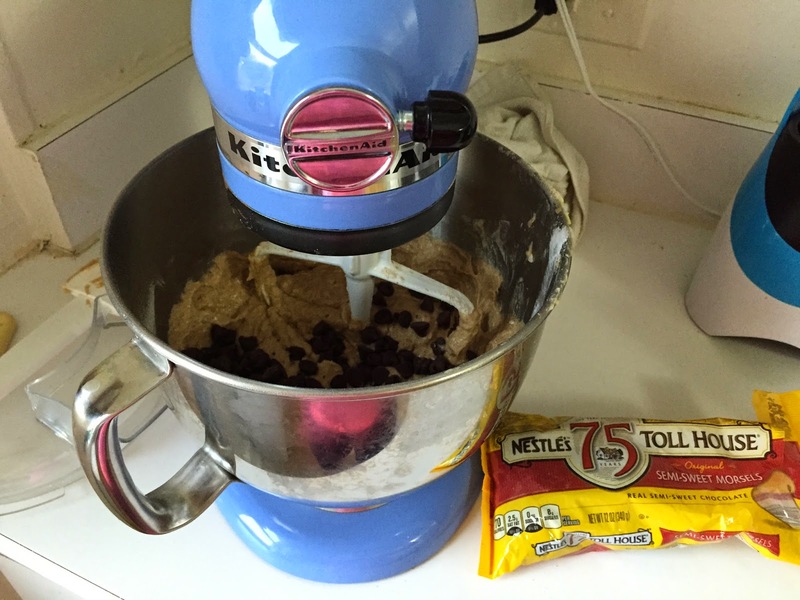 Once the flour disappears you can add the chocolate chips. 8. Pour mixture into a greased pan of your choosing (I like to have a bread loaf pan and make a few extra muffins). 9. If only cooking the bread loaf, place in oven for 1 hour. If making muffins, set your timer for 15 minutes, take out to see if cooked (everyone’s oven is different). Then reset your timer for 45 minutes for the rest of the bread loaf to cook. 10. Remove bread from pan, invert onto a cooling rack or plate and cool before slicing.